Coco Pinchard always dreamed of being a successful writer, but then life got in the way. She married young, had a son, and put her dreams on hold... But now she's forty, and her first novel is about to be published! Her husband Daniel has greyed nicely into a silver fox, and her son Rosencrantz is all grown up. Shouldn't it be time to enjoy life? That is, until the annual family Christmas when her hideous in-laws come to stay, and Coco opens her gift from Daniel. It's not the jewellery she chose, but an iPhone. This marks the start of Daniel's mid-life crisis and Coco catches him in bed with a younger woman. Then Coco meets the hunky Adam and she's back in the world of dating as a single forty-something. 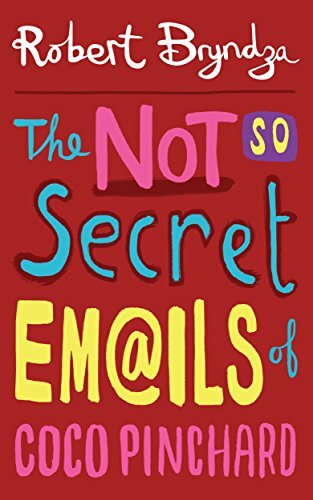 Read the emails that tell the heart warming and often hilarious tale of Coco picking up the pieces, in this fun, feel-good Romantic Comedy.